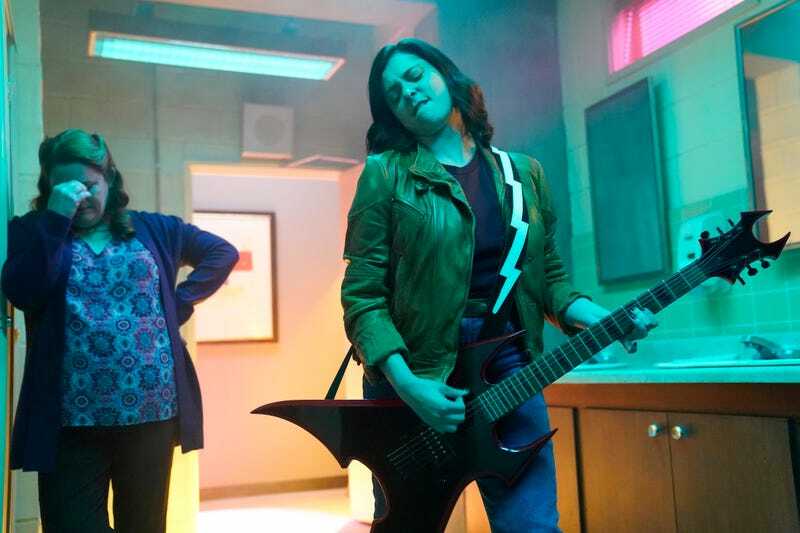 The third season of Crazy Ex-Girlfriend draws to a close this week, as Rebecca (Rachel Bloom) decides “Nathaniel Is Irrelevant.” But the season finale doesn’t mean an end to the singalongs for the year—according to Entertainment Weekly, Bloom and the rest of the core cast are taking their poignant, biting comedy act on the road. On March 31, Crazy Ex-Girlfriend Live Starring Rachel Bloom will kick off an eight-city tour that includes Seattle, Chicago, New York, and Los Angeles. There are over 100 songs in the CEX catalog for Bloom and co. to choose from, and she’s already teasing “new renditions of some of our beloved songs.” Bloom will be joined by her co-stars Vincent Rodriguez III, Scott Michael Foster, and Pete Gardner; composers Adam Schlesinger and Jack Dolgen; and Crazy Ex-Girlfriend co-creator/showrunner/executive producer Aline Brosh McKenna. The list of venues is not yet available, and not all cast members will be at every performance, so you’ll have to keep an eye out for that info. But, fittingly enough, tickets to go on sale this Valentine’s Day.